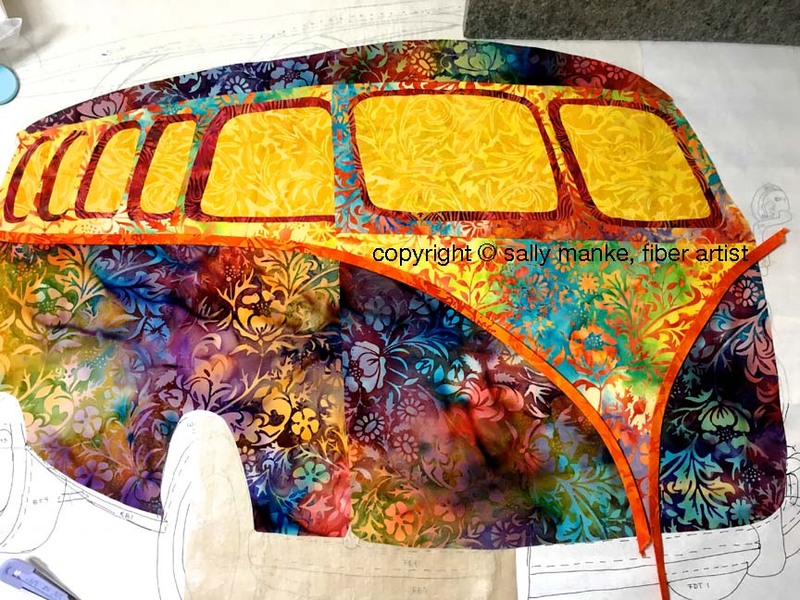 Hold on to your hats...we are off on the Great Outdoors Blog Hop and introduction of my newest pattern, Flower Child Hippie Van. 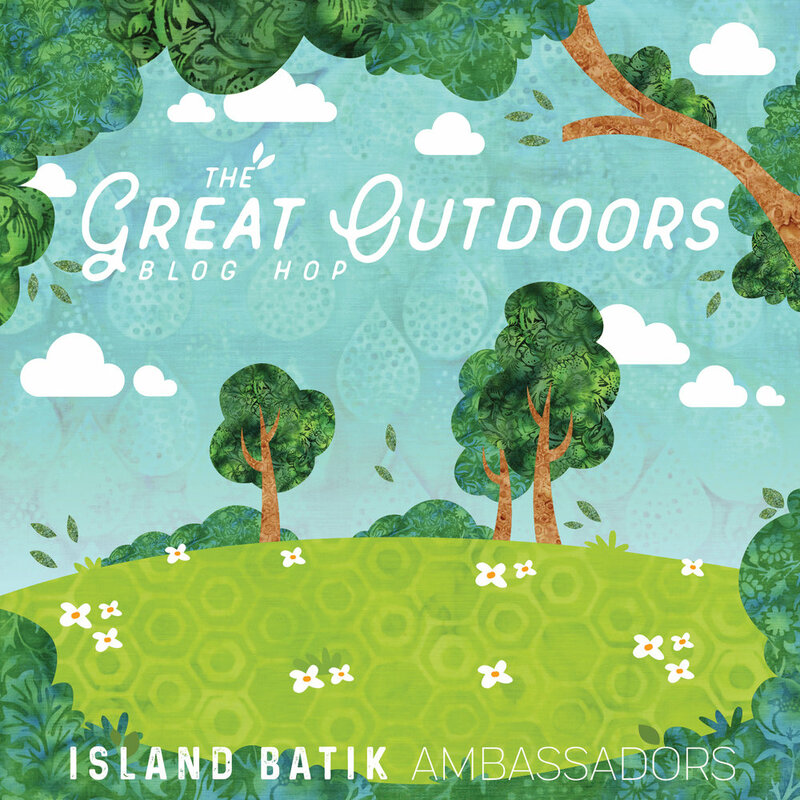 This is my first Blog Hop as an Island Batik Ambassador and my first blog giveaway. 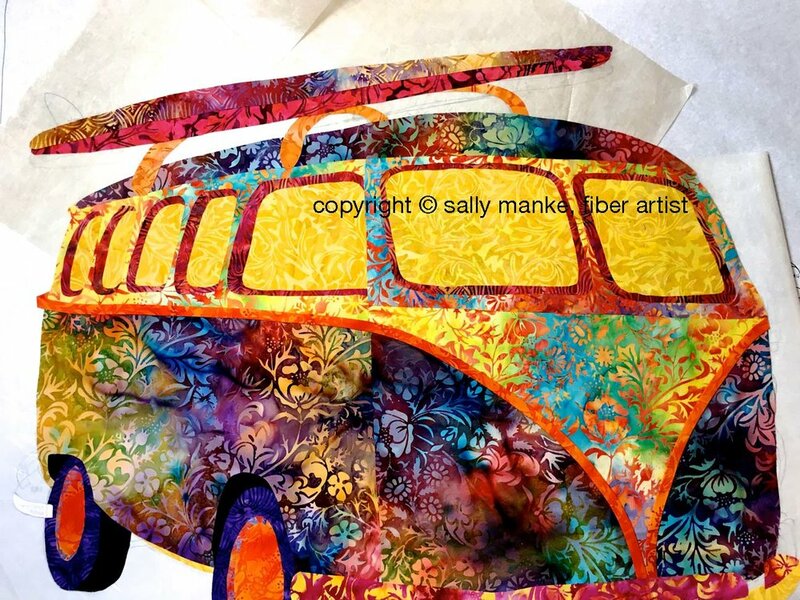 See below to enter for a Flower Child Hippie Van Art Quilt free pattern. 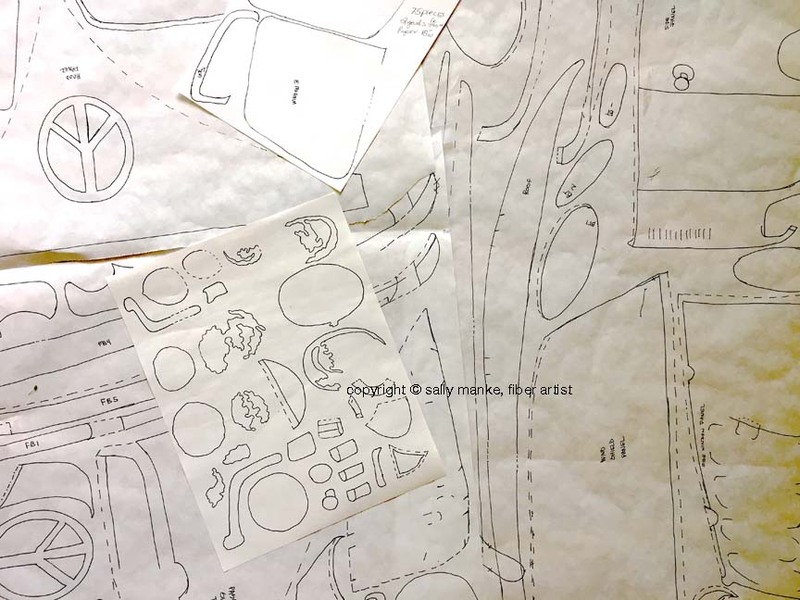 • Create a quilt at least 36" X 36" - This art quilt is 36" X 44"
Fabrics from the Canterbury Manor Collection provided by Island Batiks. Working on a silicone surface to protect iron and ironing surface, Misty Fuse fusible web is applied to the wrong side of selected fabric. 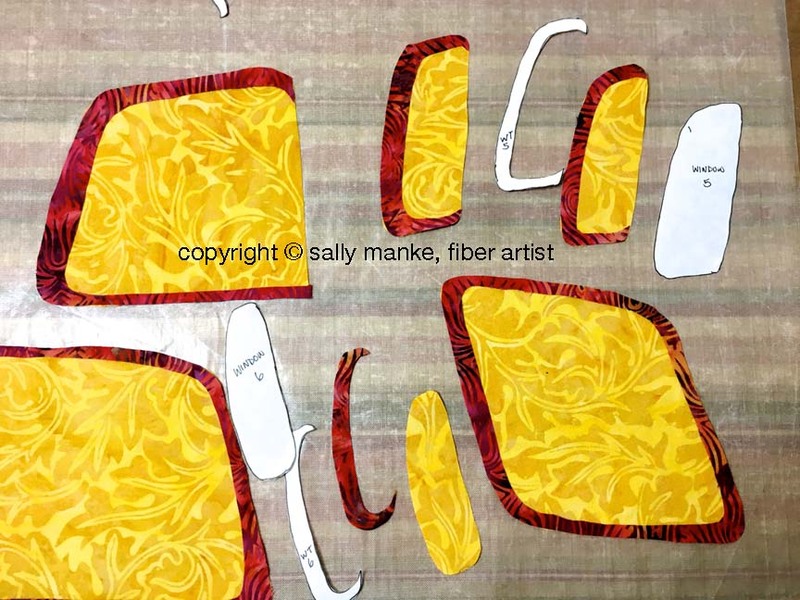 Freezer paper pattern is pressed to the right side of fabrics. 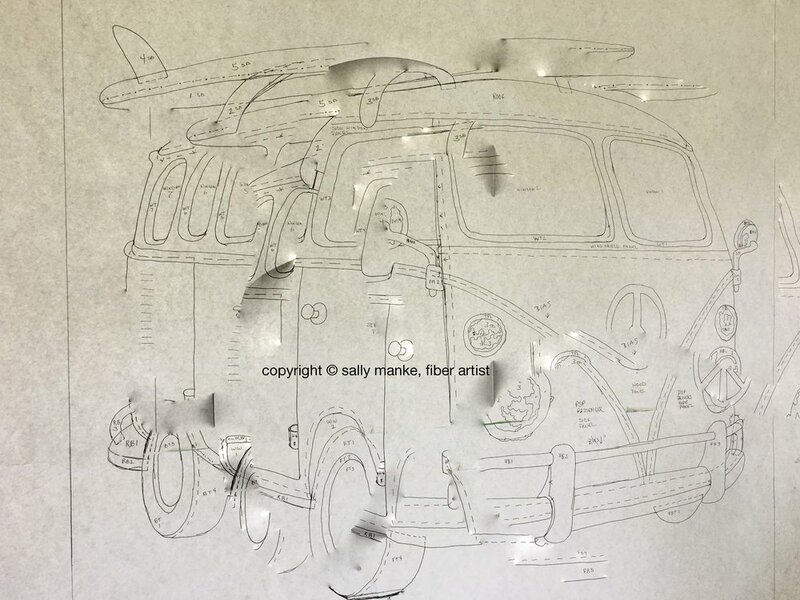 Following pattern directions, the van is assembled removing freezer paper after each step. 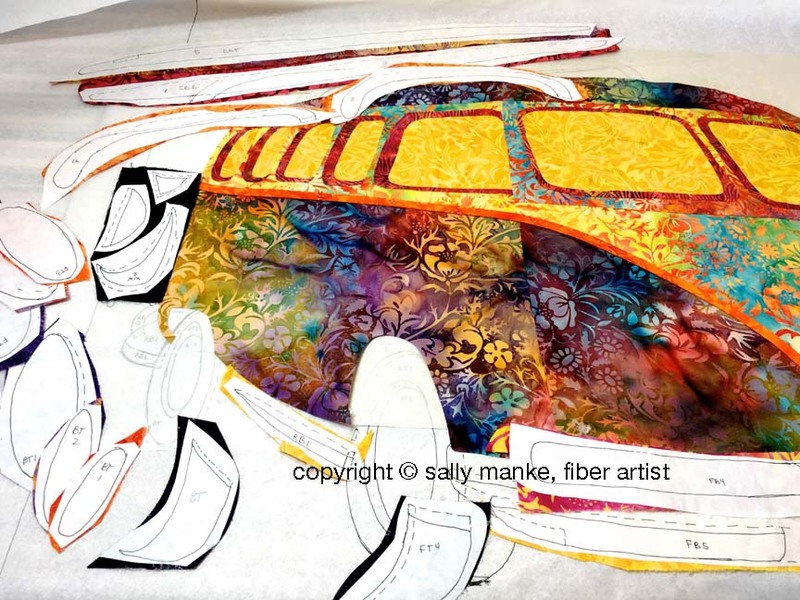 Background is constructed of 2-1/2" strips of Island Batik fabrics. The base represents a sandy beach, the center lake or ocean blues while the top blends soft sunset colors into a blue and cloudy sky. What flower child hippie van would be complete without flowers? Misty Fuse fusible web is applied to the wrong side of remaining fabrics. 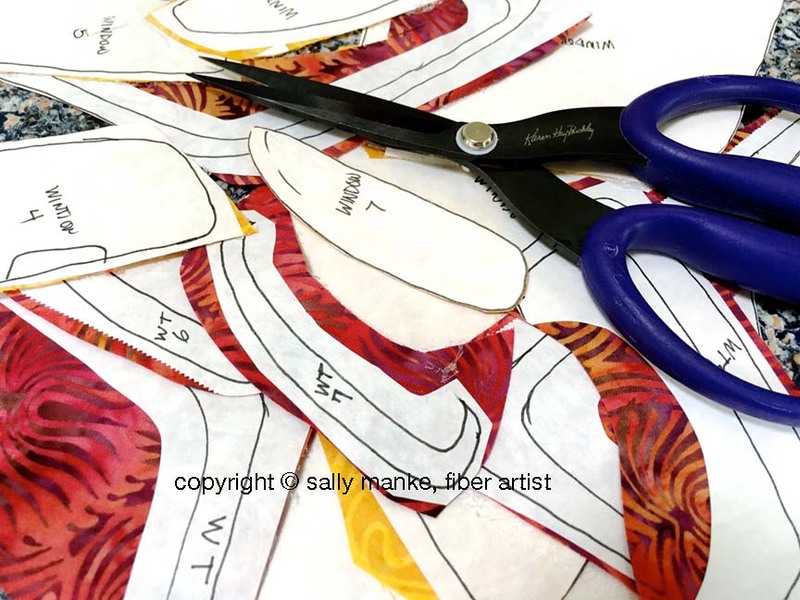 Leaves, flowers and dragon flies are fussy cut from these fabrics. They are fused on the sandy background, water and sky portions of the quilt. This quilt has a lot going on visually. The bright colors, floral designs and small details could use a calming influence. Modern vertical and horizontal straight line quilting with cream colored 100 weight silk thread works perfectly. 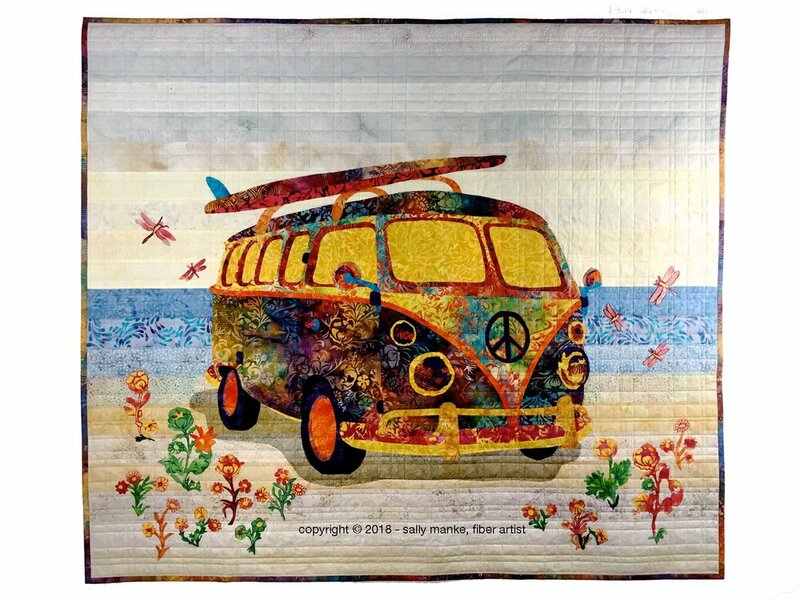 One lucky winner will get a FREE Flower Child Hippie Van Art Quilt Pattern. Winner will be picked in a random drawing on September 3, 2018! Contest open to U.S. residents 18 years and older. 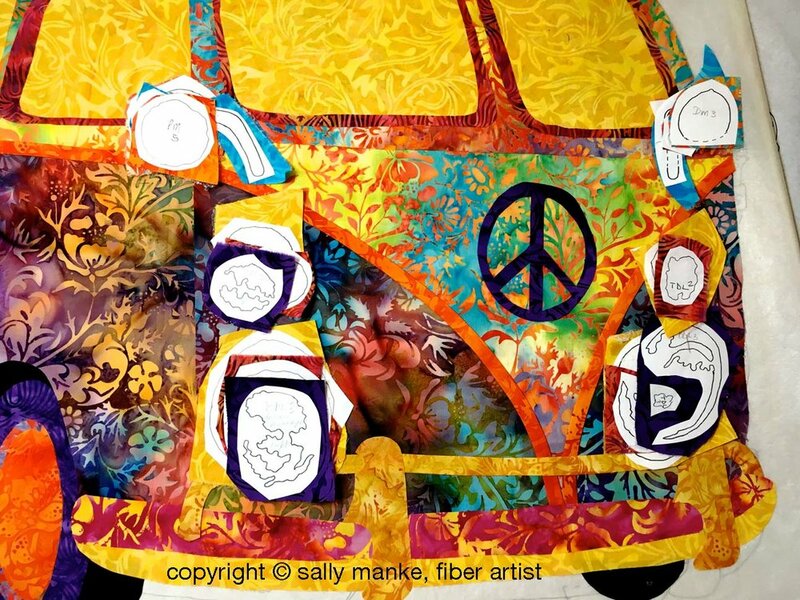 TO ENTER: Leave a comment below stating who you'd make the FLOWER CHILD HIPPIE VAN ART QUILT for if you win. Hop on over and visit each blog and register for the giveaways. Also stop by the Island Batik Blog to enter for their giveaways.